n Lord of the Rings In Concert: The Fellowship of the Ring is scheduled for 8 p.m. Friday at The Orleans Arena, 4500 W. Tropicana Ave. The complete film is set to be projected on a 60-foot screen while the film’s score is performed live by more than 200 musicians conducted by Ludwig Wicki and joined by soprano Kaitlyn Lusk. Tickets range from $35 to $125. Visit orleansarena.com or lordoftheringsinconcert.com or call 284-7777.
n Big Al’s “Wise Guys of Comedy,” featuring Dean Napolitano and Carmen Vallone, is set to run at 7:30 p.m. Thursdays and 7:30 and 9:30 p.m. Fridays and Saturdays through Oct. 29 at The Orleans. Tickets start at $15.99. Visit orleanscasino.com. n American rock duo Steely Dan is scheduled to perform at 9 p.m. Thursday at the Palms, 4321 W. Flamingo Road. Tickets start at $75. Call 944-3200.
n Mitzi Gaynor is scheduled to share behind-the-scenes anecdotes from her show business career in “Razzle Dazzle: My Life Behind the Sequins” at 8 p.m. Friday through Sunday at The Orleans, 4500 W. Tropicana Ave. Gaynor premiered as a Las Vegas headliner in 1961 and performed in showrooms on the Strip for decades. Tickets start at $49.95. Visit orleanscasino.com or call 365-7075.
n Girls 5 to 17 are invited to Princess 4 a Day from 11 a.m. to 4 p.m. Saturday at Dinosaurs & Roses, 6029 W. Charleston Blvd. Registration is required. A $25 fee includes hair styling, nails, makeup, a princess craft project, photos, a jewelry item, a goodie bag and a tiara. Visit nevadaprincessforaday.webs.com. n The second annual Aki-Matsuri Japanese Festival is planned from 11 a.m. to 8 p.m. Saturday at Chinatown Plaza, 4255 Spring Mountain Road. Games, karaoke, cosplay, performances, traditional dance and food are planned. Tickets are $3 or free for children 7 or younger. A portion of proceeds will go to the Japan Relief Fund. Visit lvakimatsuri.com or call 387-4500.
n All the proceeds from Louie Anderson’s Oct. 24 performance of “Louie LOL” at Palace Station, 2411 W. Sahara Ave., are scheduled to benefit the Three Square food bank. Tickets begin at $49.95. Visit palacestation.com or call 800-745-3000.
n Singer k.d. lang is set to perform at 8 p.m. Oct. 22 at the Palms, 4321 W. Flamingo Road. Tickets range from $39 to $69. Visit ticketmaster.com or call 944-3200 or 800-745-3000.
n Rock and Roll Hall of Fame inductee Leon Russell is set to perform at 8 p.m. Oct. 22 and 23 at The Orleans, 4500 W. Tropicana Ave. Over the span of a 50-year career in music, Russell has played on, arranged, written and produced some of the best-known records in music history and collaborated with artists such as Glen Campbell, Joe Cocker, Willie Nelson, Edgar Winter, George Harrison, Eric Clapton, Bob Dylan and Ringo Starr. Tickets start at $29.95. Visit orleanscasino.com or call 365-7075.
n Ticket packages for the second annual Cirque Week, scheduled Dec. 1 through 10, are on sale. Packages range from $165 for two shows to $561 for all seven Las Vegas-based shows. Packages also include access to special events, such as a meet-and-greet opportunity with Criss Angel, a behind-the-scenes look at “Zumanity,” an “O” artist workshop and more. Visit cirquedusoleil.com/cirqueweek. n An opening reception for the group art exhibit “Let Them Eat Cake” is scheduled from 6 to 8 p.m. Sunday at the Marjorie Barrick Museum at the University of Nevada, Las Vegas, 4505 S. Maryland Parkway. Cake and milk are set to be served at the free event. Visit barrickmuseum.unlv.edu or call 895-3381.
n The sixth annual Reel Rock Film Tour is scheduled for 7 p.m. Friday at the Las Vegas Library, 833 Las Vegas Blvd. North. Films to be shown include “Origins: Obe and Ashima” about a 9-year-old boulder climber, and “Race for the Nose” about conquering the speed record on the El Capitan route in Yosemite National Park. Admission is free, but a wristband is required and can be picked up beginning at 6 p.m. Friday. Visit reelrocktour.com or lvccld.org. n The Green Girl Music & Arts Festival is back for its second year with three days of events: 5 to 8 p.m. Friday at Tivoli Village, 302 S. Rampart Blvd. ; 11 a.m. to 4 p.m. Saturday at Bruce Trent Park, 8851 Vegas Drive; and noon to 4 p.m. Sunday at Sam Ash Music, 2747 S. Maryland Parkway. 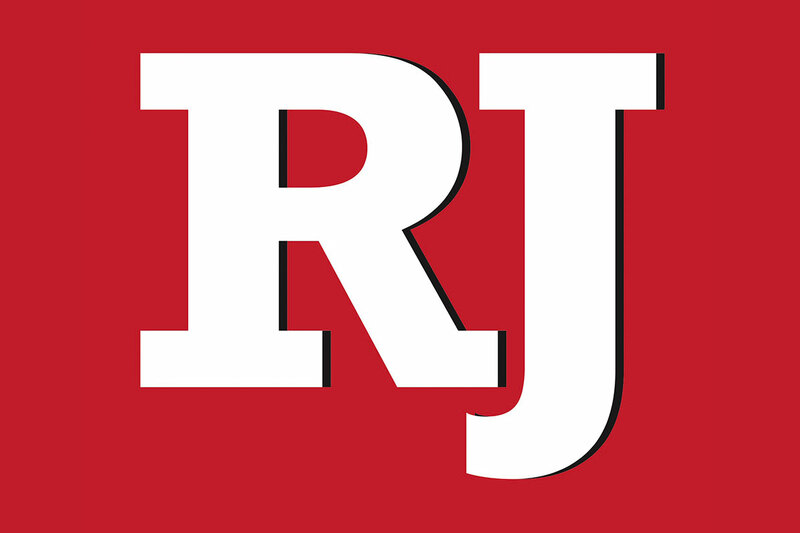 n Roos-N-More, a nonprofit zoo that houses exotic animals for educational purposes, has scheduled several open zoo days at its Moapa facility. The zoo is scheduled to be open 9 a.m. to 1 or 2 p.m. Saturday and Oct. 30, and Nov. 6, 11 and 20. Admission is $10. The Oct. 30 date includes special Boo With the Roos activities. Costumes (without masks) are welcome. Visit roosnmore.org or call 467-3585.